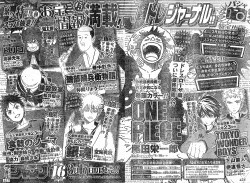 Project Versus (One Piece x Dragon Ball x Toriko), new videogame? 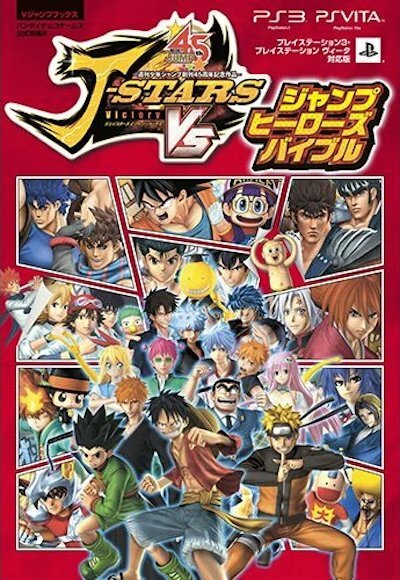 Thread: Project Versus (One Piece x Dragon Ball x Toriko), new videogame? 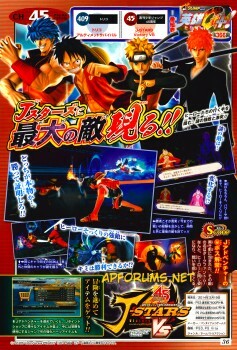 Re: Project Versus (One Piece x Dragon Ball x Toriko), new videogame? 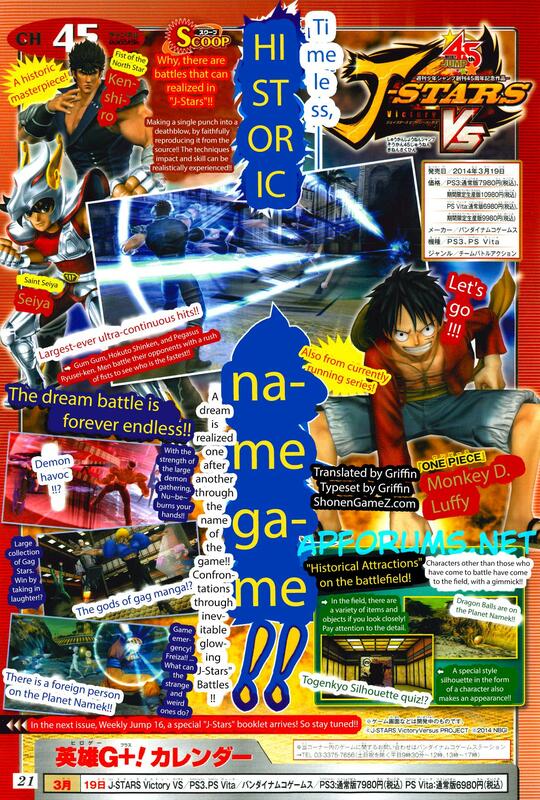 Preview of next Jump issue, it seems there will be information about the game. Wait, there's a Don Patch manga? Why haven't I heard of this before? 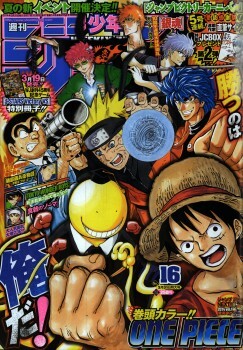 There´s a special book about the game in this issue but I can´t get it (you can see the cover on Jump cover, left side). Well either way I'll try to pick it up. 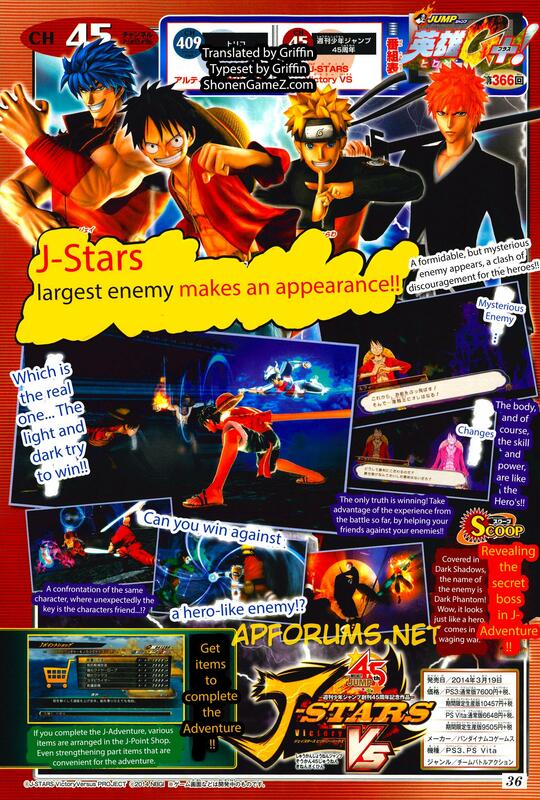 I hope this game isn't very text heavy like jump ultimate stars. Siliconera says that the boss is going to be a mimic, using the characters' movesets. I'd wish that at least it was the Jump thing possesing some characters, like jump thing in kenshiro's body, jump thing in arale's body, or the jump thing in light's body. It's going to be translated anyway. So the boss is similar to the final bosses from unlimited adventure and unlimited cruise. Awesome! If Redon doesn't get the chance to scan these I'll get them done Saturday morning. So, if there were any more revealed characters in the book, we would know by now right?